A general hostility to irrationalism, superstition and customary practices reminiscent of the dark past, if not actually descended from it, made impassioned believers of the Enlightenment, such as liberals, socialists and communists, unreceptive to traditions, old or novel. Socialists … found themselves acquiring an annual May Day without quite knowing how; National Socialists exploited such occasions with liturgical sophistication and zeal and a conscious manipulation of symbols. In my comments last month on the undeservedly flattering eulogies published on the death of the English Marxist historian Eric Hobsbawm, I did not mention his most successful book in terms of sales. The Invention of Tradition, a book he co-edited in 1983, has gone through eleven reprints and is still in print thirty years later. Hobsbawm, his co-editor Terence Ranger and four other historians presented essays demonstrating that many social and cultural traditions popularly assumed to be hundreds or even thousands of years old were actually invented in the modern era for shrewd political purposes. In a world transformed by the industrial revolution in Europe and by imperialism abroad, ruling elites invented rituals, ceremonies and cultural traditions to help mould the behaviour of the less powerful to new environments. Readers of the book found that the Scottish kilts, bagpipes and clan tartans did not have their origins in the mists of time but were devised by Scottish nationalists relatively recently. In India and Africa, imperial powers invented traditions that helped supplant local structures of authority and legitimised foreign subordination of colonised peoples. The high point of British “invented tradition” was the 1870s, when the parliament finally became politically supreme and devised a new ceremonial role for the monarchy, reviving some long disused older cere­monies and “mass-producing” several new ones as mechanisms to generate loyalty and social unity in an era of rapid change. Then, as now, he argued, it was essential to understand and demystify these tactics so that socialists and liberal progressives could overcome such ritualistic appeals to irrationalism and superstition, and let the light of reason shine through. This ritual is now performed far more frequently than the singing of the national anthem or the raising of the Australian flag. Yet two decades ago it was unknown. It was introduced without any public debate, let alone public support, and its authors have never been named or their purposes justified. Nonetheless, since the passing of the Native Title Act in 1993, it has been foisted on a mystified public as though it had the sanction of deep indigenous tradition. I first experienced the ritual at a 1996 conference of the Centre for Cross-Cultural Studies of the Australian National University. The conference was held at James Cook University, Cairns, and its organisers roped in two women elders from the local community to receive the acknowledgement at the opening session. They looked bemused and embarrassed at being the centre of so much attention, and it was no wonder. This ceremony is not part of any Aboriginal culture. It is an invented tradition, most probably devised by white academics at the ANU Centre itself. Moreover, rather than being a symbol of reconciliation, many of its utterances are, on any objective assessment, disrespectful. Those who make them rarely take the trouble to discover the actual name of the local clan but simply acknowledge nameless “elders” or “the traditional owners”. I have heard this so many times by so many people that it is probably unfair to single out Maurice Newman, chairman of the ABC during the five years I was on its board. Over this time, at only one of the many public functions where he performed this ritual (at Broome) did he ever mention the name of the local clan. Indeed, at one staff function in Brisbane he acknowledged the traditional owners “whoever they are”. To any Aboriginal elder, the real message of such an omission is that the speaker’s sentiments are insincere. In other cases, the ritual can be even more insulting when the speaker gets the name of the local group wrong. 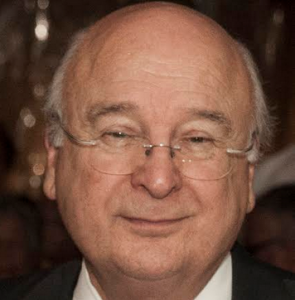 From 2001 to 2007, when he presided over graduation ceremonies, the Chancellor of the University of Sydney, Justice Kim Santow, routinely acknowledged the Eora people as the traditional owners of the land on which the university stood. However, the real name of the original local clan was not Eora but Cadigal. Moreover, had Santow consulted the writings of Australia’s most scholarly linguist on this topic, Arthur Capell (a former anthropologist at his own university), he would have found that “Eora” was not even the name of a clan or social unit but the local word for “people” (Oceania, 41, 1970, 20–27). Hence, throughout his tenure, Justice Santow had been welcoming graduands and their parents to the land of the People people. His successor, Marie Bashir, took better advice and since 2007 has more accurately acknowledged the Cadigal people. In February 2008, Prime Minister Kevin Rudd opened the forty-second Australian Parliament by hosting a welcoming ceremony by the traditional Aboriginal owners, the Ngunnawal people. Over the past decade, I have been to several functions in Canberra that staged welcome-to-country ceremonies and/or acknowledgements of traditional owners. In all cases where names were given, the Ngunnawal people were credited as the true landowners. In his 1974 book The Aboriginal Tribes of Australia, the anthropologist Norman Tindale provided a map that showed the southern boundary of this group contained the land on which Parliament House now stands. At the time, Tindale’s book was the most authoritative on tribal boundaries. However, in 2001 Ann Jackson-Nakano wrote The Kamberri: A History of Aboriginal Families in the ACT and Surrounds. It is a scholarly work, a 200-page monograph published by the journal Aboriginal History, and the fruit of a huge amount of research. Jackson-Nakano argues persuasively that Tindale got it wrong, as did the local sources on which he relied. She discovered that modern usage of the name Ngunnawal did not come from Aboriginal tradition but from a park in the town of Bowning, near Yass, named by white people as Ngunnawal Park. A sign bearing that name was erected at the park in the 1960s, dedicated to Aboriginal people of the Yass district who the townspeople thought had died out in 1848. Some local Aborigines subsequently saw the sign and adopted it as their name. Jackson-Nakano argues the traditional owners of the land where Parliament House stands, and indeed most of the ACT, are the Kamberri people, after whom the first white landowner, Joshua John Moore, named his land grant in 1824. If she is right—and her book is the most thorough analysis I have seen on the subject—then the Australian Parliament is acknowledging the wrong people, or at the very least using the wrong name for whoever actually qualifies as the descendants of the local Aboriginal people. The whole issue has been thoroughly complicated by generations of out-marriage by those of Kamberri descent, plus various claims and counter-claims by rival groups in native title tribunals. No one could find the issue easy to resolve. Nonetheless, you would have thought that the federal parliament would have had the resources to research the question properly, and that the Prime Minister’s office would have ensured they did, before allowing Rudd to go ahead with the blunder of using the wrong name at the opening of his first parliament. If Australian leftists want to continue inventing Aboriginal traditions, they obviously need to lift the quality of their research. In fact, they would be better off giving away the whole tawdry game. Most of the white dignitaries who speak these rites are merely going through the motions, and traditional Aborigines don’t recognise or treat them seriously. In such circumstances, no one can seriously claim they contribute to inter-racial respect or reconciliation. And, as even an old Marxist hack like Eric Hobsbawm has demonstrated, there is always a good market for authors who seek to expose mythologies and shine the light of reason into dark places.